Originally from Miami, Florida. 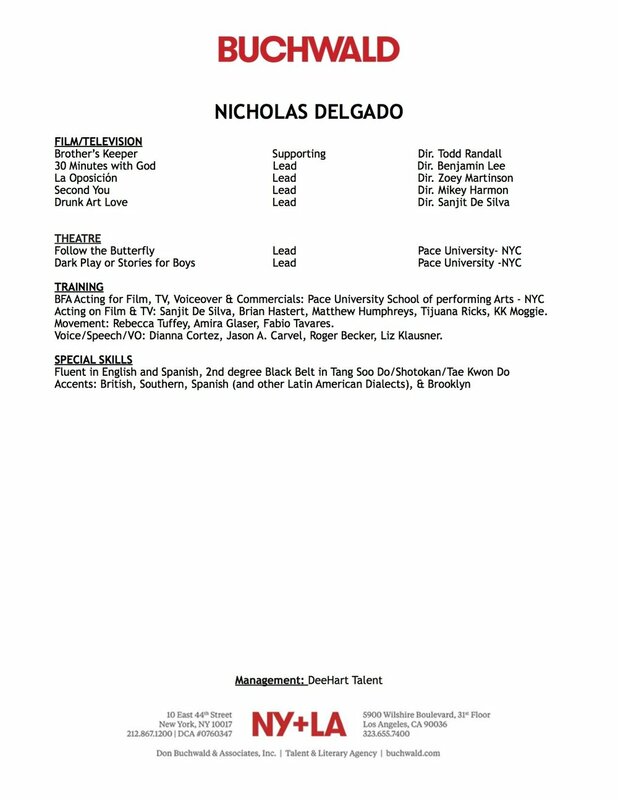 Nicholas Delgado is a New York based actor who has recently graduated with a BFA Acting in Film, Television, Voiceovers and Commercials Degree from Pace School of Performing Arts at Pace University located in the financial district of New York City. Represented by Buchwald & Associates.